Livorno is a port city on the Ligurian Sea, on Tuscan’s western coast. One of the best running spots in Livorno is the paved/packed dirt pathway, set apart from the busy streets, that runs along the coast. 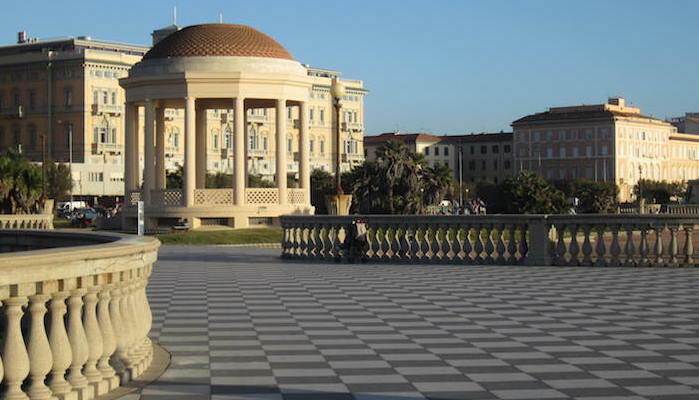 Start out near the aquarium/Terrazza Mascagni and make your way south towards Ardenza on the Lungomare. You’ll pass the Bagni Picaldi (a historic bath), the Church of San Jacobo, a massive Italian Naval Base, and a monument to Italian Sailors before arriving in Ardenza. Here, the path passes several beaches/public baths. A good place to turn around is La Rotunda/Parco Bartolini, where the path widens into a park-like terrace. Along the way there are great views looking out over the water that reach as far as the Gorgona and Capraia islands on a clear day. It’s 3.6 km one-way.